The International Center for Research on Women (ICRW) is now accepting applications for the 2018-2019 Mariam K. Chamberlain Award, which honors the legacy of a visionary leader whose contributions to the feminist and social justice movements are evident across the world. Chamberlain founded Re:Gender – formerly the National Council for Research on Women – in 1981. Under her leadership, Re:Gender grew to become one of the preeminent organizations focused on research on women in the United States. In 2016, Re:Gender merged with ICRW, where we continue to advance women’s empowerment and gender equality through a merged global platform. The $10,000 award will support a first-generation doctoral student, including immigrant students, as they work on a dissertation under the close supervision of a senior dissertation advisor over one academic year. Of the award total, the student will receive $8500, and the advisor will receive $1500. The sum awarded to the student may be used to help fund ongoing research and associated education costs, as well as helping fund potential travel expenses related to the Award for both the student and the advisor. The graduate student’s dissertation must be related to ICRW’s mission to advance gender equity, inclusion and the alleviation of poverty worldwide. ICRW’s main thematic focus areas include violence, rights and inclusion; women’s economic empowerment; and global health, youth and development. A full list of frequently asked questions can be found here. Applications are due by 11:59 p.m. EST on Monday, September 10, 2018. For more information on eligibility criteria and requirements for submitting an application, click here. 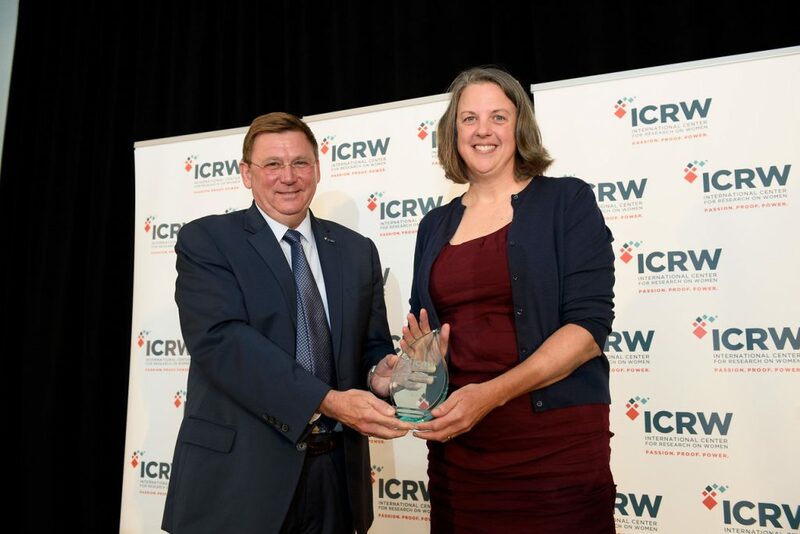 And for any remaining questions, please contact awards@icrw.org.